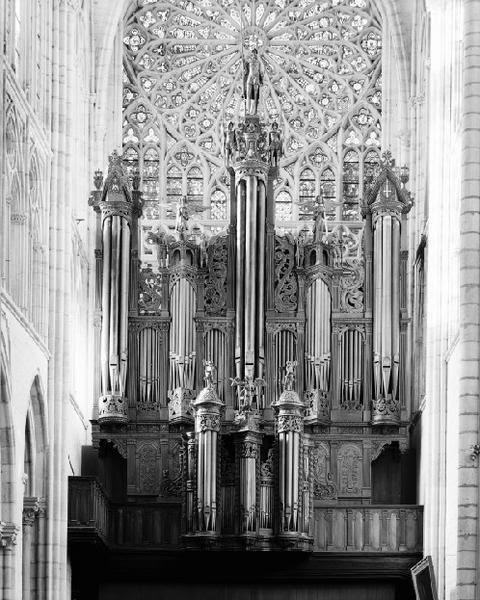 "Among the musical instruments that have a place in church the organ rightly holds the principal position, since it is especially fitted for the sacred chants and sacred rites. It adds a wonderful splendour and a special magnificence to the ceremonies of the Church. 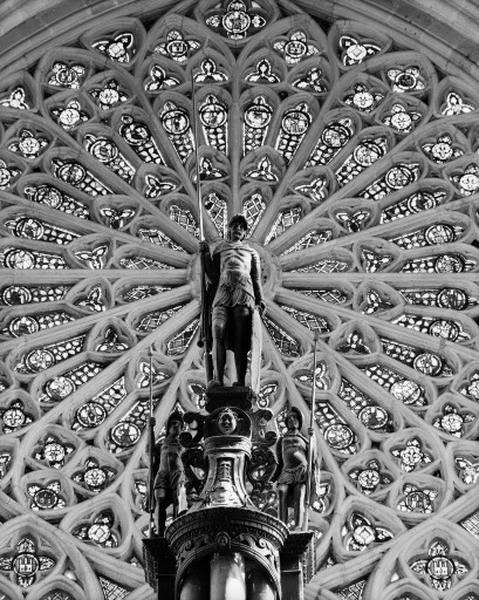 It moves the souls of the faithful by the grandeur and sweetness of its tones. It gives minds an almost heavenly joy and it lifts them up powerfully to God and to higher things." "The organ has always been considered, and rightly so, the king of musical instruments, because it takes up all the sounds of creation – as was just said - and gives resonance to the fullness of human sentiments, from joy to sadness, from praise to lamentation. By transcending the merely human sphere, as all music of quality does, it evokes the divine. The organ’s great range of timbre, from piano through to a thundering fortissimo, makes it an instrument superior to all others. It is capable of echoing and expressing all the experiences of human life. 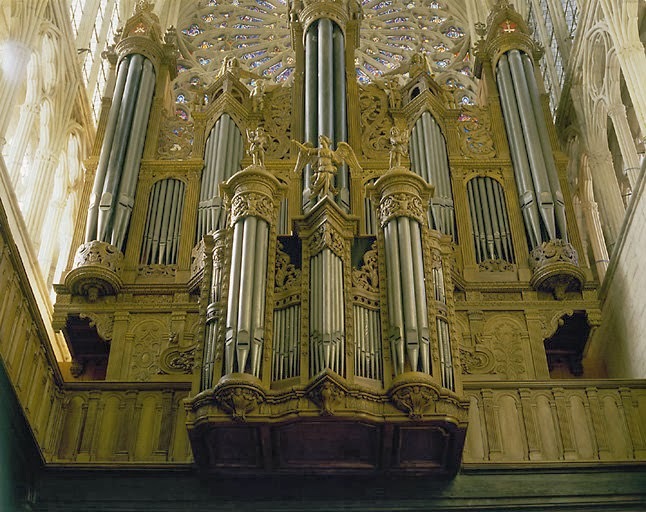 The manifold possibilities of the organ in some way remind us of the immensity and the magnificence of God. Psalm 150, which we have just heard and interiorly followed, speaks of trumpets and flutes, of harps and zithers, cymbals and drums; all these musical instruments are called to contribute to the praise of the triune God. In an organ, the many pipes and voices must form a unity. If here or there something becomes blocked, if one pipe is out of tune, this may at first be perceptible only to a trained ear. But if more pipes are out of tune, dissonance ensues and the result is unbearable. 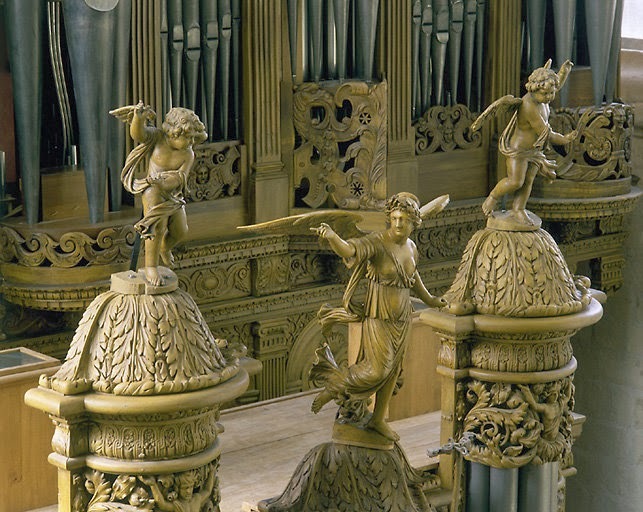 Also, the pipes of this organ are exposed to variations of temperature and subject to wear. Now, this is an image of our community in the Church. Just as in an organ an expert hand must constantly bring disharmony back to consonance, so we in the Church, in the variety of our gifts and charisms, always need to find anew, through our communion in faith, harmony in the praise of God and in fraternal love. The more we allow ourselves, through the liturgy, to be transformed in Christ, the more we will be capable of transforming the world, radiating Christ’s goodness, his mercy and his love for others."